Are the woes of a semester drawing to a close distressing you? Purchase this for all your aromatherapy needs while repping the Harvard of the South anytime and anywhere. Those living in residence halls should take heed that burning candles is strictly prohibited, but elegant, aggressively branded candleware for is decidedly not. It may be April, but it’s Christmas for Tulane everytime a student purchases this item. Don’t worry, only eight more months until winter break! If this $60 nutcracker isn’t enough to satisfy your festive needs, buy the bundle and get your Santa hat and tree ornaments, too. For the low price of $295, you can forget about that textbook your professor said was absolutely necessary and slap this puppy on your wrist! 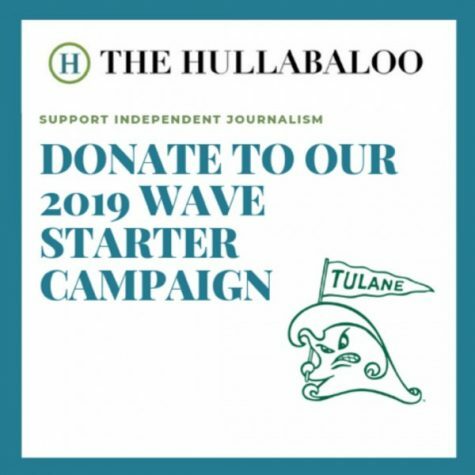 Featuring an Italian leather strap engraved with the Tulane logo, you can interview for that unpaid internship in style, and flex your inner angry wave. Though you may not have been able to pass that class, you’ll never have to worry about being late. Want to stand out from The New Yorker tote crowd? 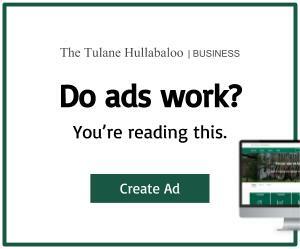 This product is an absolute steal — and certainly unique to Tulane. Found directly next to the branded golf balls hang these green paper bags with the Tulane logo. Priced at six dollars, you can carry all of your small belongings for at least a week before the bag breaks and you are right back in the bookstore. The real thrill of the experience, however, is getting charged $0.15 to have your paper bag put in a plastic shopping bag, a charge you’ll resent but begrudgingly accept as the toll for knowingly killing the environment. Last, but most definitely not least, comes the Tulane football jersey for your dog. Let your dog have a helluva hullabaloo with its own jersey! Showing spirit in style, your dog can bark on the Green Wave at every home game. Sure, your pet won’t know what its for and wrangling the jersey on might be an impossible battle, but, what’s a dog’s comfort when there are Instagram likes to be had? If you have made it this far and are wondering why there are no books on the bookstore’s list of must-haves, you’re not crazy. Why would Tulane worry about securing enough mandatory textbooks for its students in its bookstore when it can have an endless surplus of holiday sweaters? 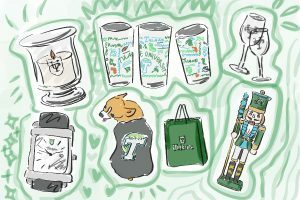 Does it make sense to have triple the floor space of the book section for Tulane apparel and useless tchotchkes? It’s great that the bookstore offers fun buys for prospective students and visiting alumni, but catering to students needs, namely when it comes to education, is essential.